The Ink Trap: A New Challenge at Kraftin' Kimmie Stamps: Fun with FruitC! A New Challenge at Kraftin' Kimmie Stamps: Fun with FruitC! 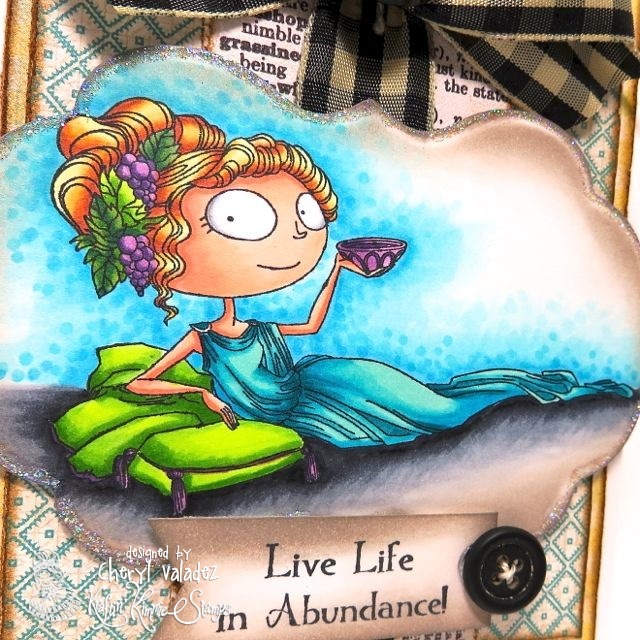 Welcome back for another totally fun challenge here at Kraftin' Kimmie Stamps!!! We've got a great challenge for you again this week!! Come along and play with us! This week our hostess is KAREN!! Her challenge for you this week is FUN WITH FRUIT!! So pull out those fruity stamps (remember the fruity girls.....Rebecca Raspberry, Stella Strawberry) and our new YOU'RE A PEACH stamp set or grab some fruity patterned paper, embellishments, dies etc........then create a card (with a Kraftin' Kimmie stamp) and share it with us here! Get creative! Have some krafty fun and join us this week because we'd LOVE to see your KKS designs. We hope you can play along for your chance to WIN some Kraftin' Kimmie rubbah!!! Have you heard??? We're having an incredible SUMMER STAMPY SALE right NOW with EVERY single stamp in the store ON SALE 10-50% OFF!!! Even all of our newest releases!! And not only that, because our shipping rates are based on the value of your order, while you're saving on stamps, you'll ALSO be saving on SHIPPING! How's that for awesome!! But only while supplies last!! Now go ahead and check out the wonderful creations by our Krafty Girls featuring this week's challenge!! If you join us and play along, you could WIN a Kraftin' Kimmie Stamp!!! Holy smokes, chica! This is gorgeous (as usual)!! LOVE LOVE LOVE your coloring and your choice of colors!! Have a fab weekend!